Wat is dit voor site? Wij zoeken de goedkoopste boeken op internet. Dealing with Satanvonden we het goedkoopst op Bol.com voor €15.49. We hebben gezocht in nieuwe en tweedehands boeken. Rechtsonderaan de pagina kan je het boek direct bestellen	via Bol	.com. Two months after his eleventh birthday, on 9 July 1944, the gates of Bergen-Belsen concentration camp closed behind Ladislaus Lob. Five months later, with the Second World War still raging, he crossed the border into Switzerland, cold and hungry, but alive and safe. He was not alone, but part of a group of some 1,670 Jewish men, women and children from Hungary, who had been rescued from the Nazis as a result of a deal made by a man called Rezso Kasztner - himself a Hungarian Jew - with Adolf Eichmann, the chief architect of the Holocaust. Twelve years and a miscarriage of justice later Kasztner was murdered by an extremist Jewish gang in Israel.To this day he remains a highly controversial figure, regarded by some as a traitor and by many others as a hero. 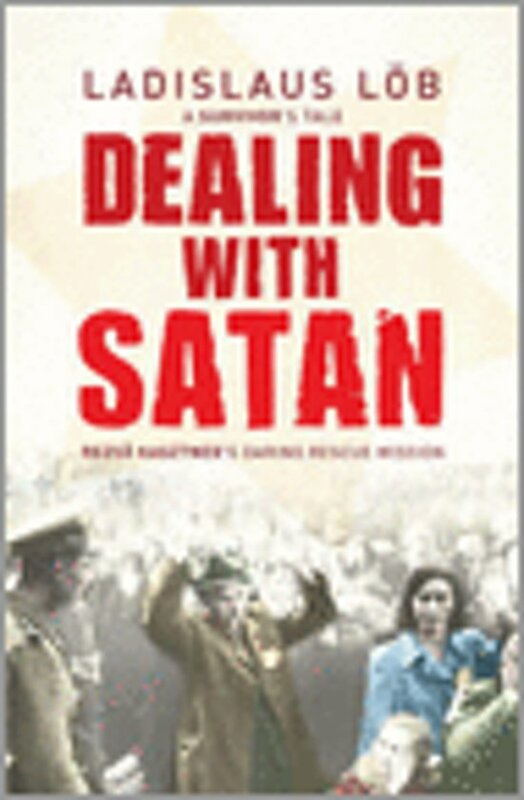 Dealing with Satan tells the story of the man who saved hundreds - indeed probably thousands - from the Holocaust. It is also the story of a child who lived to grow up after the Holocaust thanks to that man. The book is the first comprehensive account of a highly dramatic and controversial episode of the Holocaust and its implications for Jewish/Israeli politics today. Combining objective research with autobiography, Dealing with Satan traces Kasztner's negotiations with the SS and describes in detail the lives of author and his fellow inmates at Bergen-Belsen. It is an examination of one individual's unique achievement and a consideration of the profound moral issues raised by his dealings with some of the most evil men ever known.